If I had my druthers, I would spend most of my days assembling puzzles, crafting, colouring, and doing yoga. I find these to be great activities to free the mind of everyday worries, adding a sense of calm to what can otherwise be a life of busy chaos. This is why I am super excited to share with you that, not only will I be continuing on as a member of the Love, Hallmark Blogger Panel for the seventh consecutive year, Hallmark also recognizes the importance of mental wellness and relaxation. This means, you will find more fabulous products in their stores that will help you make the most out of "me time", from calming décor and candles to colouring books and yes, even puzzles! This Sunday, January 29, join Hallmark in celebrating National Puzzle Day and hop on board the relaxation trend. 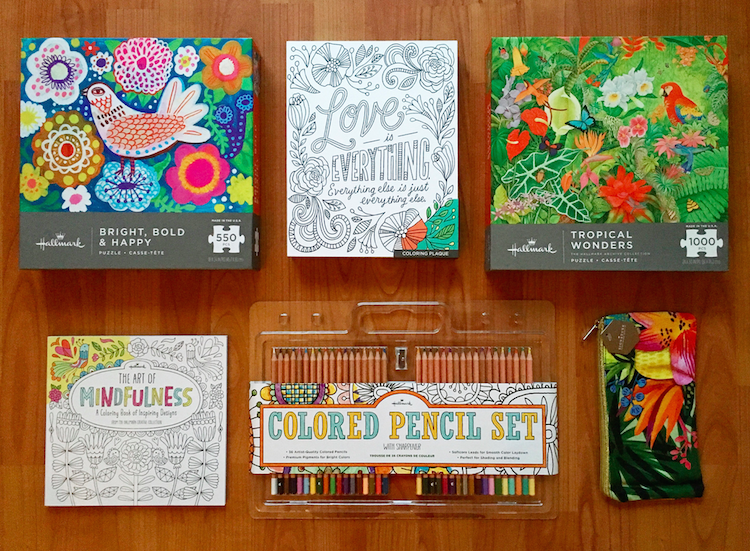 If you love puzzles as much as I do, then you will love Hallmark's premium quality puzzles. The pieces are sturdy and lock together in place very well. For review, I received a vibrant 550-piece puzzle "Bright, Bold & Happy" seen above and a stunning 1000-piece puzzle called "Tropical Wonders." If you prefer to colour, check out "The Art of Mindfulness: A Coloring Book of Inspiring Designs" filled with 45 easy-to-remove perforated designs with inspirational quotes and exclusive artwork. Or pick up a colouring plaque that you can later display on your wall. Whatever you choose, be sure to sit back, relax and enjoy your day your way. This is something new to me, never knew that there was a national puzzle day, that is pretty cool!! I love Hallmark's puzzles. they are beautiful. i used to buy them for my mom. That's a really beautiful puzzle! Beautiful puzzles, I love Hallmark! I didn't even know that Hallmark had puzzles. I'll have to go check them out since I do love puzzles. 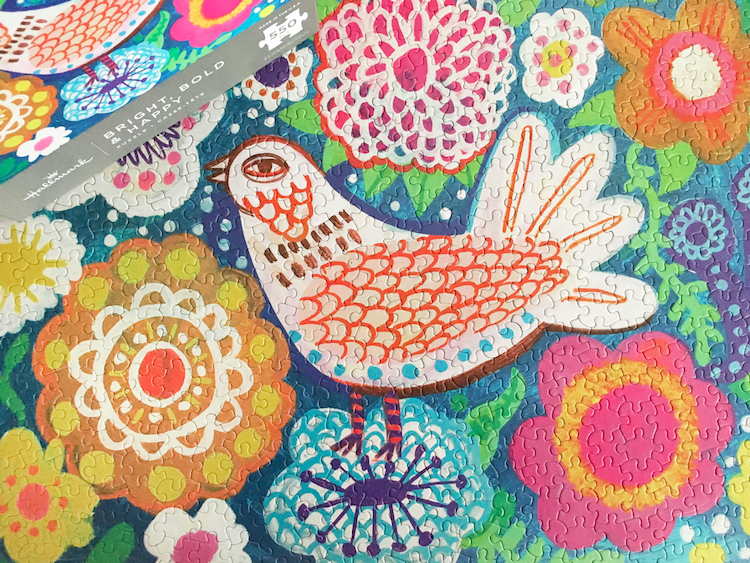 I absolutely love puzzles too and must check out the Hallmark puzzles. I often gift them to others and get them for my birthday because people know owmuch I enjoy them. I love puzzles keeps the brain fed.